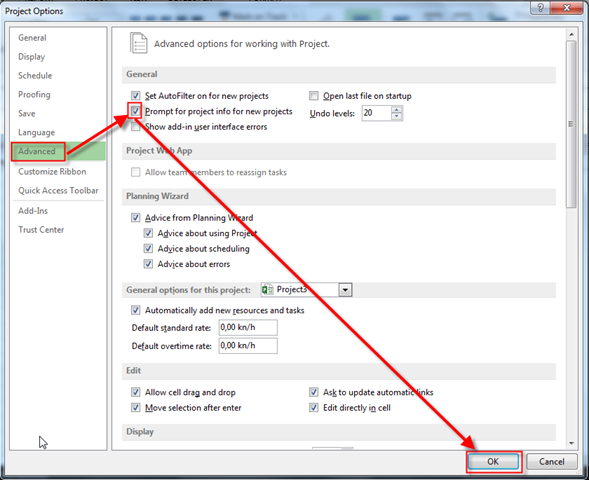 There is a lot of setup which you can do in MS PROJECT 2013. 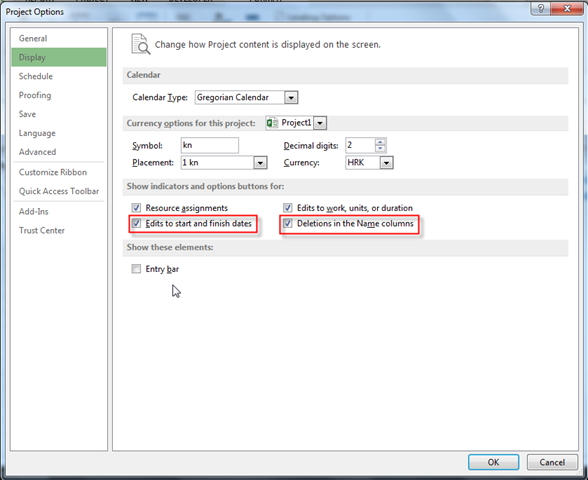 You can set up Calendars, working time, exception time, etc. I’ll show you some additional setups available in MS Project, and I am going to explain them. 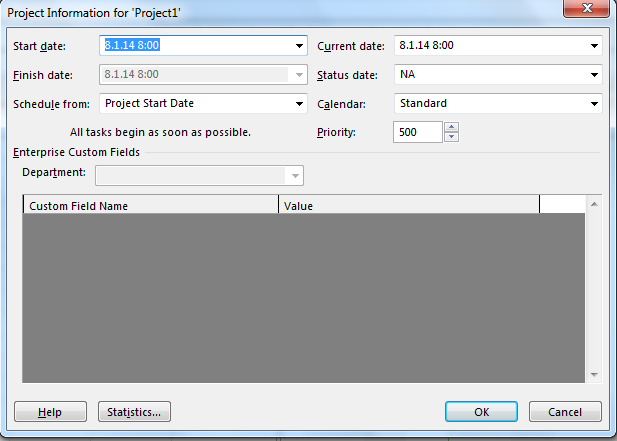 so you can put Project Information as Start or Finish date, Default Calendar here! It is good practice to turn this option on. so you can choose will you make a semi flexible constraint to the Task or not. 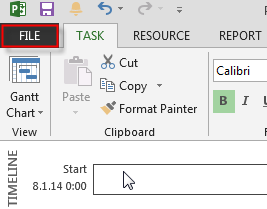 So I can choose between Task Name or whole Task deletion. With that you can easily forget to put Standard Rate, Overtime Rate, etc. So, you’ll get warning Message this Resource is not defined, and that you will have to make some adjustments (Calendars, Pay Rates) in Resource sheet. And remember. Those recommendations are mine! You should choose your own setup options for your Projects. This entry was posted in MICROSOFT PROJECT, Microsoft PRoject 2010, Microsoft Project 2013, MS PROJECT 2010, PMI and tagged Microsoft Project 2010, Microsoft Project 2013, MS PROJECT, MS PROJECT 2010, MS PROJECT 2013. Bookmark the permalink. Hi Nenad!! 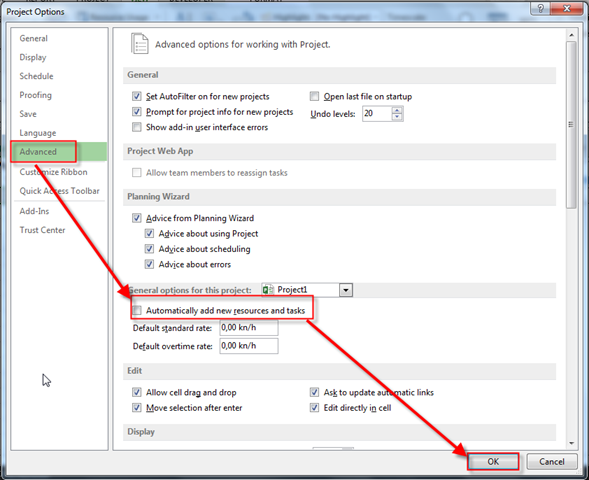 !, Would like to know how to insert planned % work column till status date in msp 2010? HI Nenad , Thanks for reply. Yes !!! i would like to add planned % work column to compare with actual work done on site . This is because then only i can compare with planned % work completion as on current date along with actual work completion. I am trying to see what the Roll up option does in the Statusbar options . I know what Roll up means but I can’t seem to find any difference weather I leave it On or Off there. Can you shine a light on that aspect as well? I’ll try to find out! Is it possible to do an S curve in Project 2013 ? If so, can you provide an example ? No directly but you can buy some add ons! Useful tips for settings in Project Client. Thank you very much Nenad!